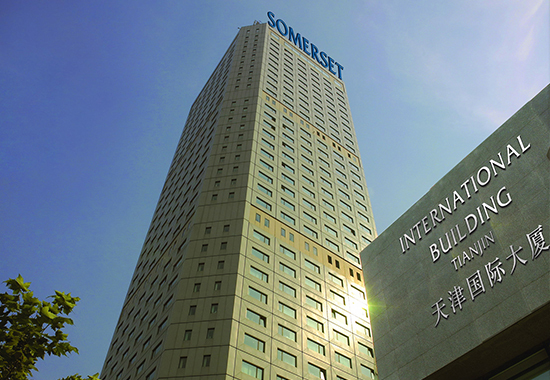 Ascott TEDA MSD Tianjin strategically situated in the heart of Tianjin Economic-Technological Development Area (TEDA)is one of the earliest national development areas. It is also a significant part of the Modern Service District (TEDA MSD). With comprehensive choices of business, medical, shopping, dining, entertainment and relaxation within and around MSD, you are guaranteed a top-quality lifestyle here. 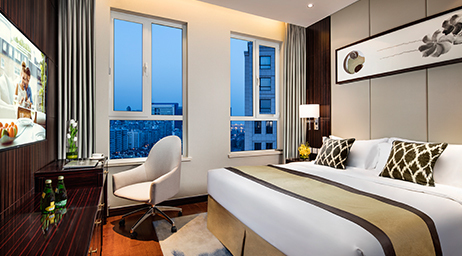 Enjoy a vibrant location that is 6-minute walk to the metro which conveniently brings you to Tianjin downtown. It takes 45 minutes to Beijing via intercity high-speed rail and 40-minute drive to the Tianjin Binhai International Airport. 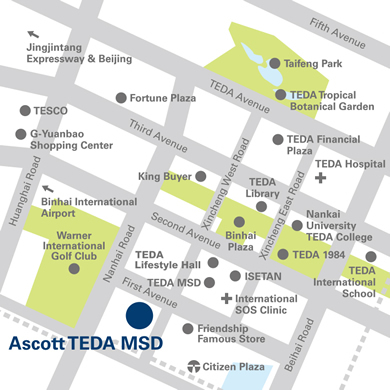 Ascott TEDA MSD is a collection of 4 blocks which offers 224 Studios, one- and two- bedroom apartments. A Studio and a two-bedroom apartment can be connected into a three-bedroom apartment to offer a larger area. 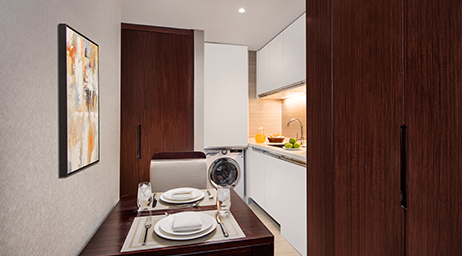 Each elegant and luxurious apartment features a fully-equipped kitchen, spacious living and dining areas, and quality family entertainment system to make a comfortable home. The 24-hour heightened security services and closed-circuit TV surveillance ensure ultimate security. 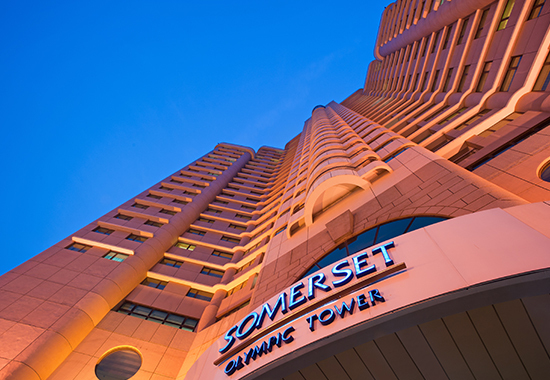 With the availabilityof a meeting and VIP rooms, high-speed internet access and business support service, Ascott TEDA MSD provides an efficient work environment to meet your business needs. The well-equipped gymnasium, aerobic room, sauna, indoor heated swimming pool, children’s playroom and mini theatre will take good care of you and your family. 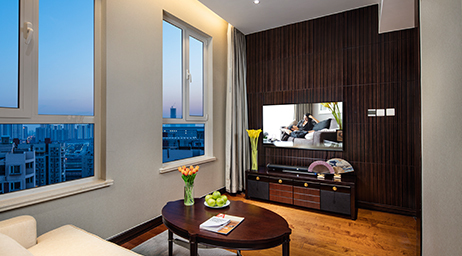 Ascott TEDA MSD Tianjin is one of a luxurious collection of The Ascott Limited’s serviced residences in over 90 cities in the Americas, Asia Pacific, Europe and the Gulf region. 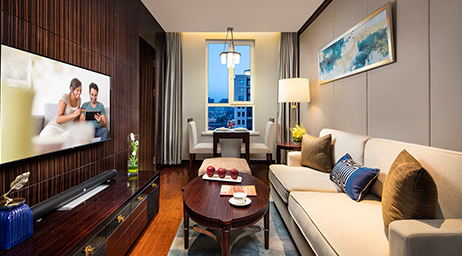 A member of CapitaLand, it is the global leader in branded serviced residences, bringing you 30 years’ experience in supporting travelers who work and live away from home. 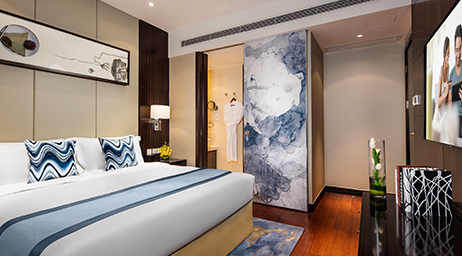 Live the life you desire with the Ascott Lifestyle, a collection of lifestyle experiences handpicked for your indulgence during your stay. Because life is about living. 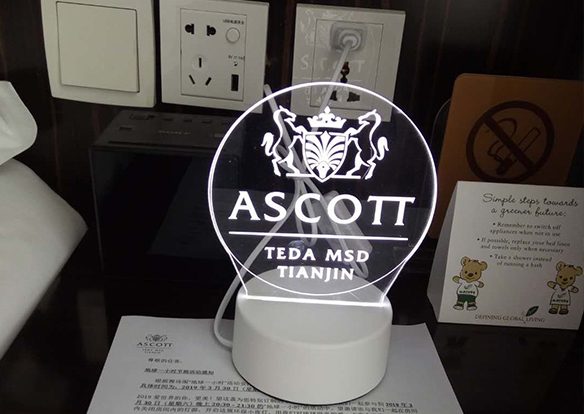 In march, Ascott TEDA MSD Tianjin actively responded to and participated in the "earth hour" environmental protection theme activity of Ascott group. During the hour from 20:30 to 21:30 on March 30, 2019, the lighting in the B2 lobby of the apartment was turned off. 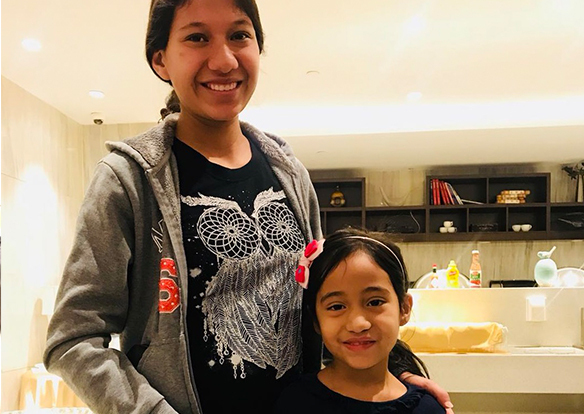 At the same time, we have distributed energy saving night lights and residents notice to encourage guests to join us in this green energy saving activity that is beneficial to the earth! During the activity, many guests voluntarily put out the lighting in the room, and sent pictures and video of their participation to express their attention and love for environmental protection. Through the organization of such a benefit to the earth we live together activitity, so that the guests and staff of the apartment deeply affected, and will firmly continue to green! 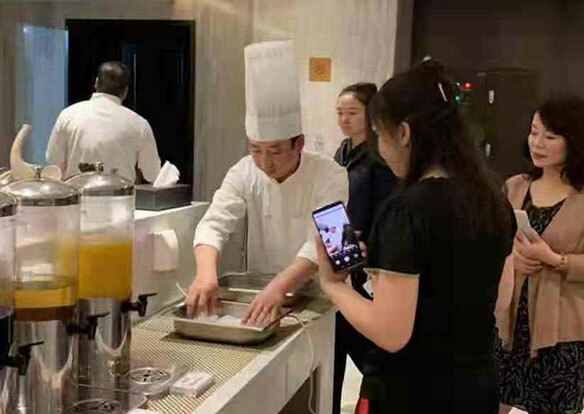 Recently, Ascott TEDA MSD Tianjin orgnaized a traditional food Menzi making event in the breakfast lounge of the property. We had carefully prepared high-quality ingredients and arranged a professional chef to demonstrate and guide the production process for the residents. While tasting the traditional food made by themselves, the residents feel the warmth of home through the communication of each other. The event ended with a cheerful and lively atmosphere. We are looking forward to the next wonderful party! The Chinese Lunar New Year is coming! 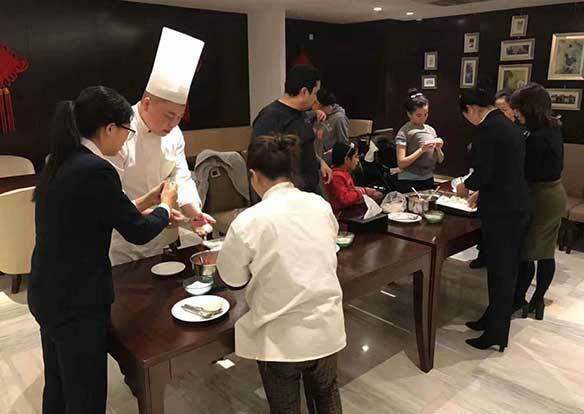 Ascott TEDA MSD Tianjin held a Spring Festival dumpling making event in the restaurant of the property. The operation team of the prepared the ingredients and fillings for the dumplings, and warmly welcome every resident who came to the activity. Everyone tasted the dumplings made by themselves and sent New Year's greetings each other. The residents had a happy smile on their faces and felt the warmth of the property. The activity ended in a happy and lively atmosphere. We are looking forward to the next great party! 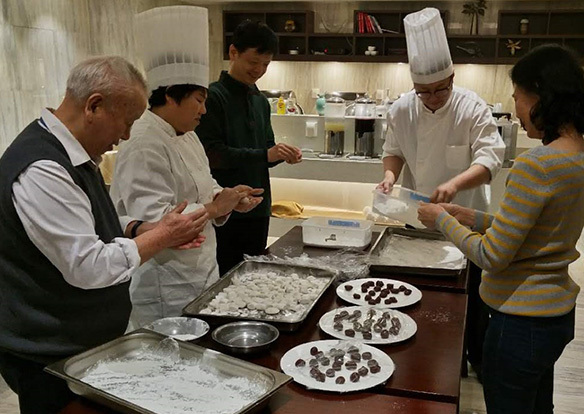 On the day of Lantern Festival, Ascott TEDA MSD Tianjin held an activity for making sweet dumplings. We prepared many kinds of materials and guided each residents to make sweet dumplings. Everyone tasted the sweet dumplings made by themselves. Although they are far away from home, they feel the warmth of home. All the residents had a memorable Lantern Festival together. Christmas is coming on a cold winter day! Ascott TEDA MSD Tianjing hosted a warm Christmas dinner party in the property restaurant. 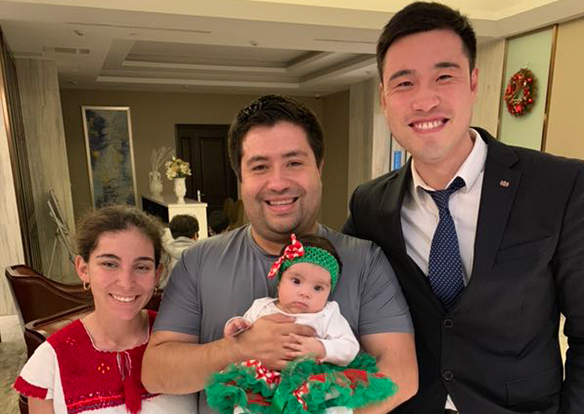 The property operation team and sales staff warmly entertained every long stay resident who came to the dinner. In order to increase the atmosphere of the party, the property invited professional band singers to sing with pleasure. While listening to the beautiful Christmas music, the guests enjoyed the delicious food prepared by the property. The guests sent Christmas greetings to each other and had a happy smile on their faces. The party ended with a happy and lively atmosphere, looking forward to the next wonderful party!